Investors have been given another slug of wanting housing data this week. First it was building permits which surprised to the downside and today it was pending home sales, which fell 4.9% YoY vs expectations of a 1.8% drop. Both building permits and pending home sales are leading indicators of housing activity as well as overall economic activity, so the continued disappointment is not welcome news. Even still, the news it’s not all that surprising either, at least to us. 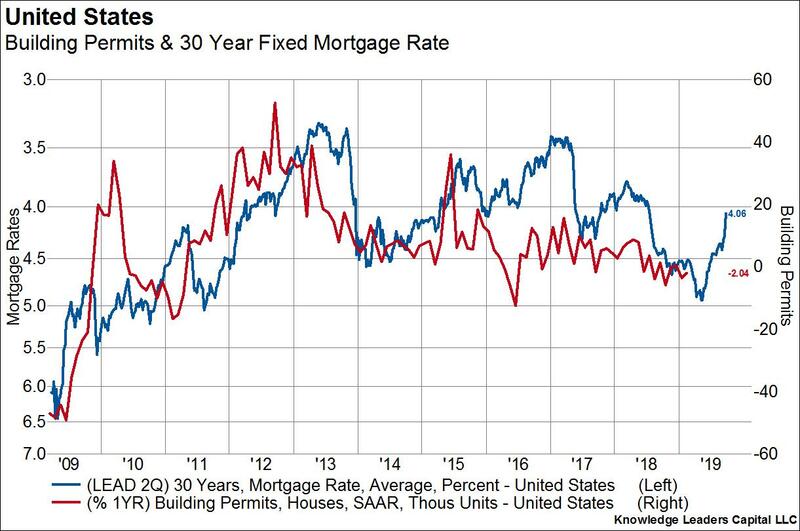 As we’ve pointed out many times on this blog, mortgage rates are the best leading indicator of housing activity, even leading both building permits and pending home sales. From 2016 through 2018 mortgage rates went from 3.4% to 4.9%, which affected housing affordability in a meaningful way. And so, housing activity slowed. The lead/lag relationship between mortgage rates and housing activity is quite strong and consistent. Mortgage rates tend to lead building permits and pending home sales by two quarters. 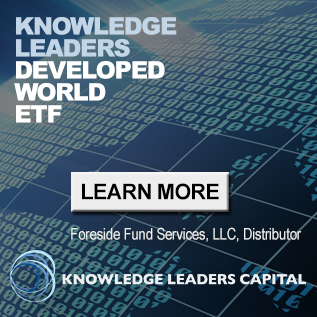 If these relationships persist in the future, we would expect both permits and pending home sales to display weakness through the Spring and then strength through the second half of the year. That implies another few months of unnerving numbers from housing. 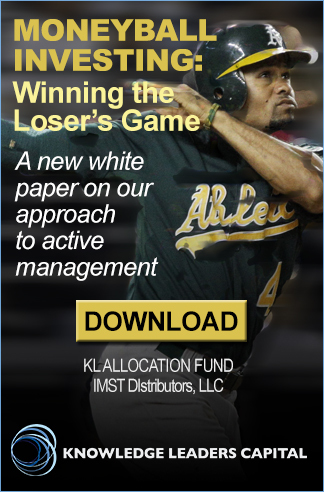 But the equity market is already looking through that coming weakness. 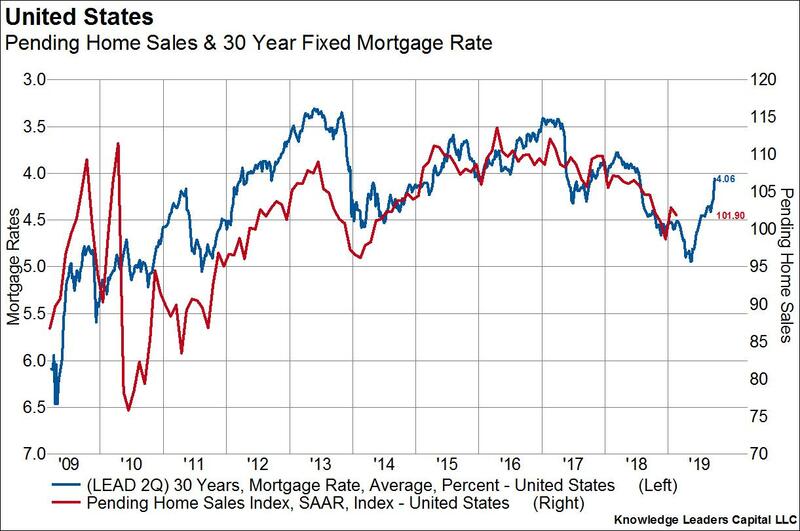 As the final chart below shows, homebuilders have been outperforming the broad equity market since last December, from the precise point at which mortgage rates topped. As that chart shows, mortgage rates and the relative performance of homebuilders are extremely closely related. 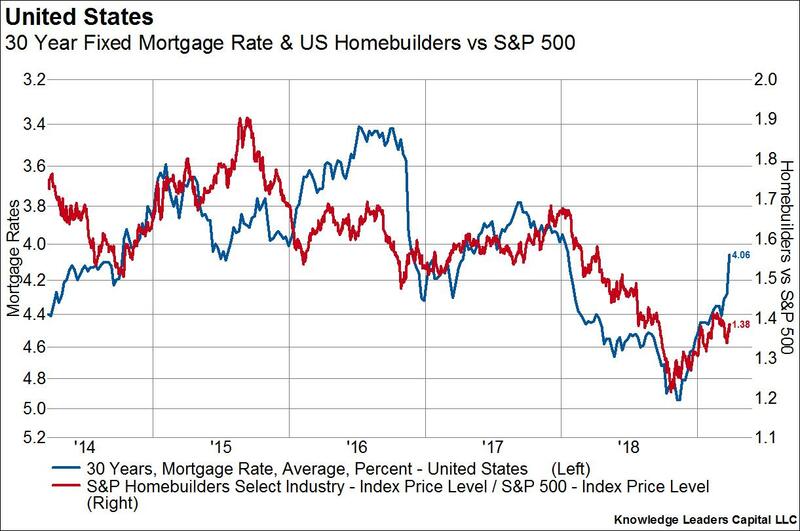 Even with the 16% outperformance of the homebuilders since that low, the sharp drop in rates this week suggests those stocks could have further to run even if rates stop going down. However, as we wrote last week, rates could still have quite a bit of downside.